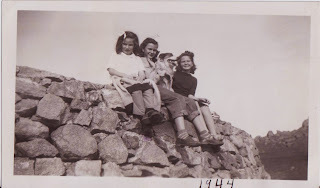 A photo of my aunt Janet, Aunt Ireta and mom surrounding their dog. 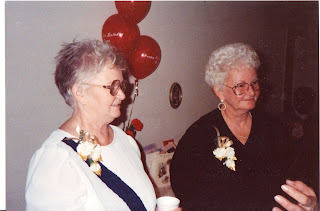 My Mom and Aunt at a party celebrating my Grandma's birthday. My aunt was a saucy lady who had a tendency toward swearing like a sailor.